At the Reciprocity Foundation (www.reciprocityfoundation.org), we have spent the past 13 years offering contemplative programming for foster, homeless, and incarcerated youth aged 15-25 years old. Most youth are disconnected from family and the educational system and have suffered abuse and PTSD—they are living in shelters and mostly isolated from loving community. We offer weekly programming at our bright, cheerful center in Manhattan that has a dedicated Meditation Space and Healing Room. Here, we are able to offer youth true sanctuary—a chance to cultivate a peaceful mind through meditation and mindful movement alongside a warm community of mentors, staff and youth. 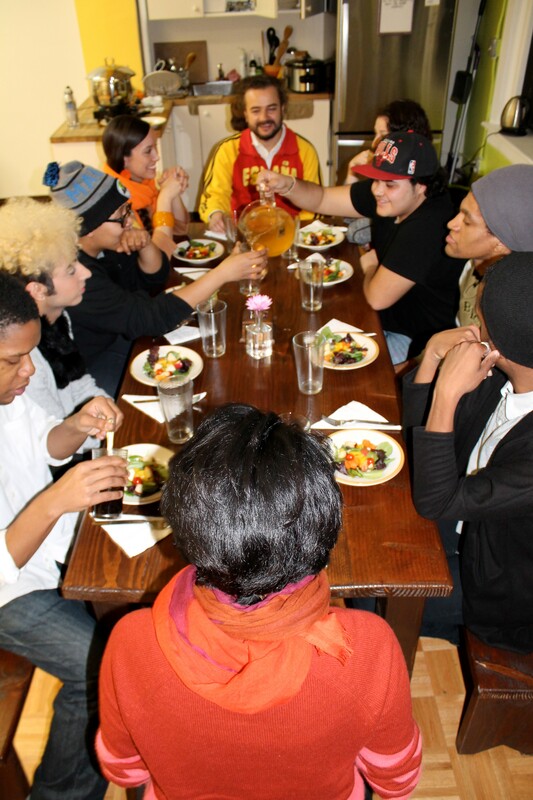 We serve delicious vegetarian food and offer healing treatments to youth who need a mental break or a chance to heal. Our programming in New York City—at our space or offsite at shelters across the 5 boroughs—has been a powerful agent of change for youth. Nearly 35% of our students enroll in college, find housing and step-up employment within 18 months. These accomplishments are meaningful but they are only part of the story. The most powerful outcome is that youth find their voice and their purpose through our programs—and step-by-step become healthy, whole youth who are deeply engaged with the world. Taking Reciprocity youth upstate for a weekend retreat has been a powerful tool for transformation. It’s hard to imagine what it feels like to live mindfully and to take care of yourself until you practice doing just that for 3 days. On retreat, youth have a chance to integrate everything they’ve learned at Reciprocity into a balanced, purposeful life. We wake up and practice meditation and yoga before breakfast, cook and eat in community and engage in deep trauma recovery work. All of the inner work is just part of the experience—youth also sing around a campfire, take canoe trips, walk, play, take photos and relax together. Youth rarely want to leave on Sunday afternoon—but more important than their joy, is a felt experience of what they are aiming for in life. Every homeless youth deserves to cultivate a deeply meaningful life. 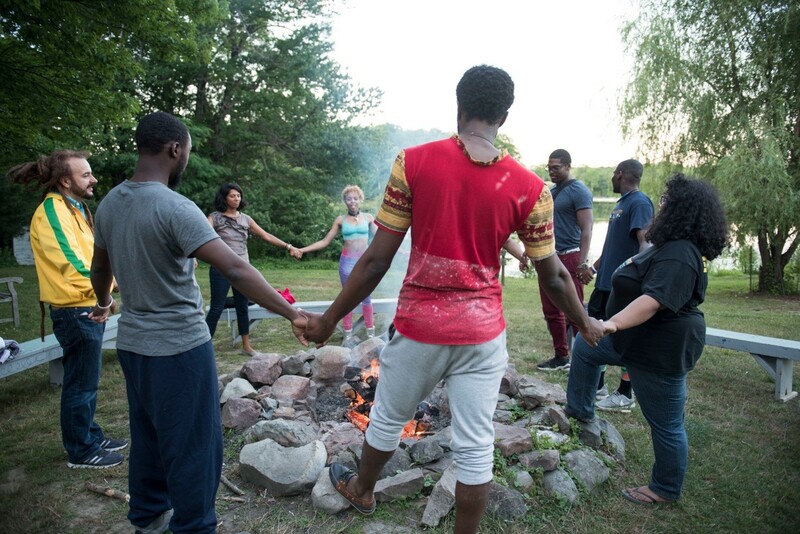 At the Reciprocity Foundation NYC center and on retreat, youth are able to think, taste and feel the future they are building for themselves, and by extension, modeling the process of deep transformation for the rest of us. Reciprocity youth and staff enjoy a campfire by the lake after engaging in deep Trauma Recovery exercises on our weekend retreat. Co-Founder Taz Tagore leads a yoga class for homeless youth while on retreat at the Omega Institute in upstate NY. Every Thursday, the Reciprocity community shares a vegetarian meal and a prayer of gratitude at our Holistic Center in Manhattan. 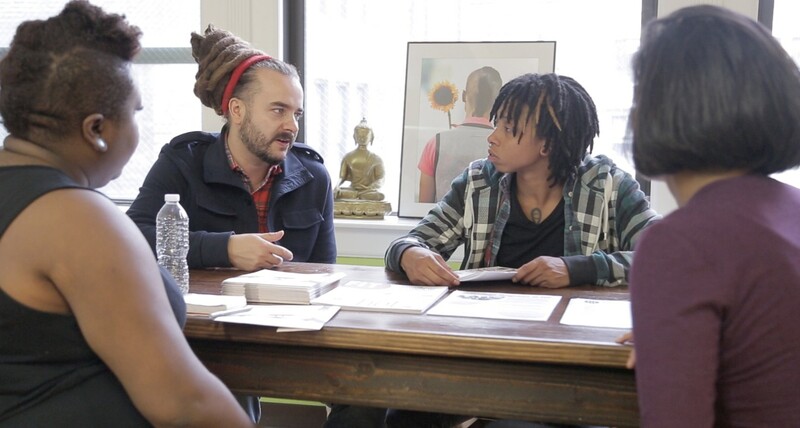 Co-Founder Adam Bucko coaches Reciprocity students on integrating the lessons learned on spiritual retreat into the daily lives of homeless youth.